Ahhhh...waking up to this for 5 days! 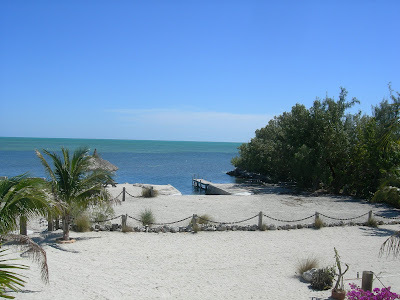 As you know, I spent a week in KeY LArgO teaching a workshop at a private retreat. This is where about 6 of us spent our nights and woke up to this glorious view every morning. This home was owned by a friend of Jackie, one of the participants, and he offered it to us to use for the week. 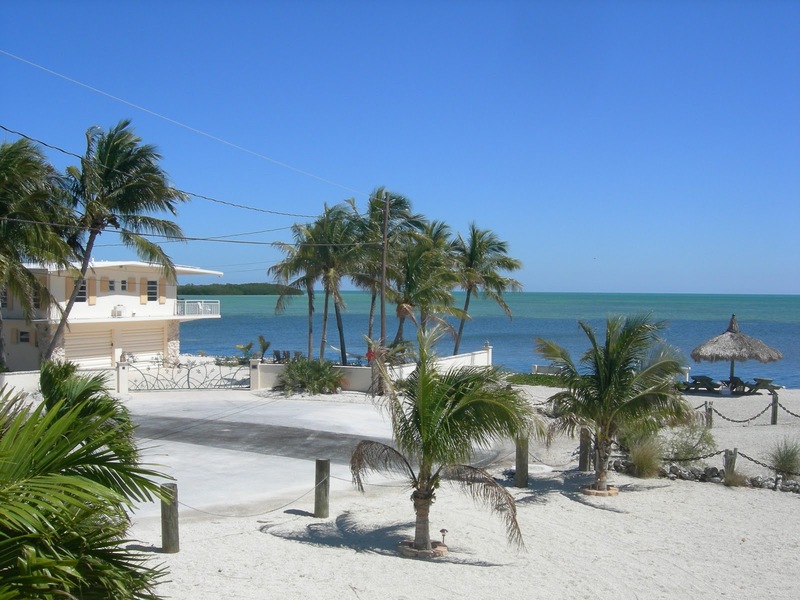 Set up high on stilts like all homes in the Keys, it sat not far from the Atlantics' edge. 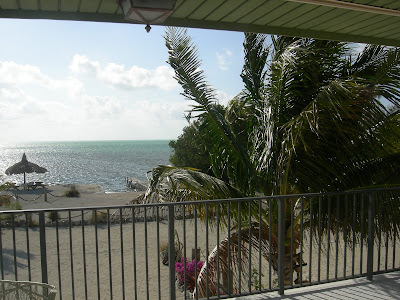 What does one do when there is no beach in Key Largo? They bring the beach to you! 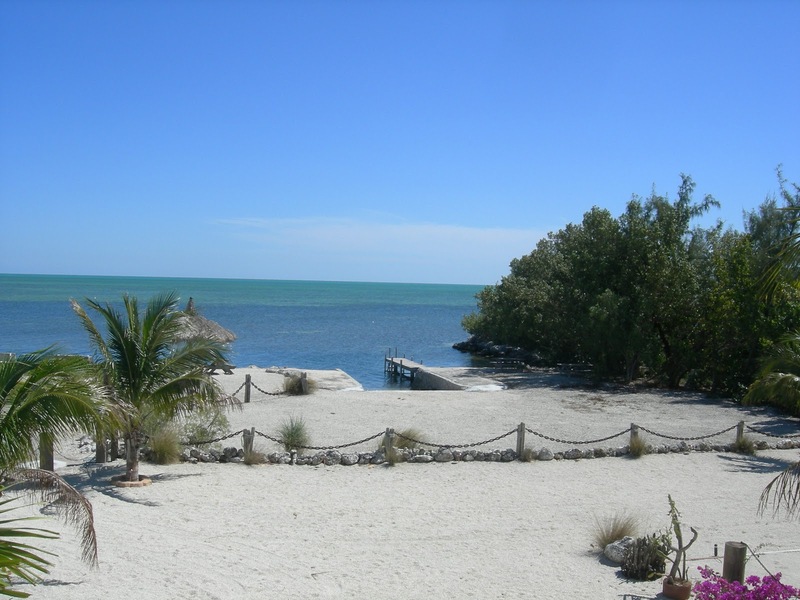 His property was filled with crushed rock the color of sand that spread all the way to the little boat dock to give the illusion of a beach. SpECtaCUlaR! The water was turquoise and waveless, much different than that of our beloved Pacific. 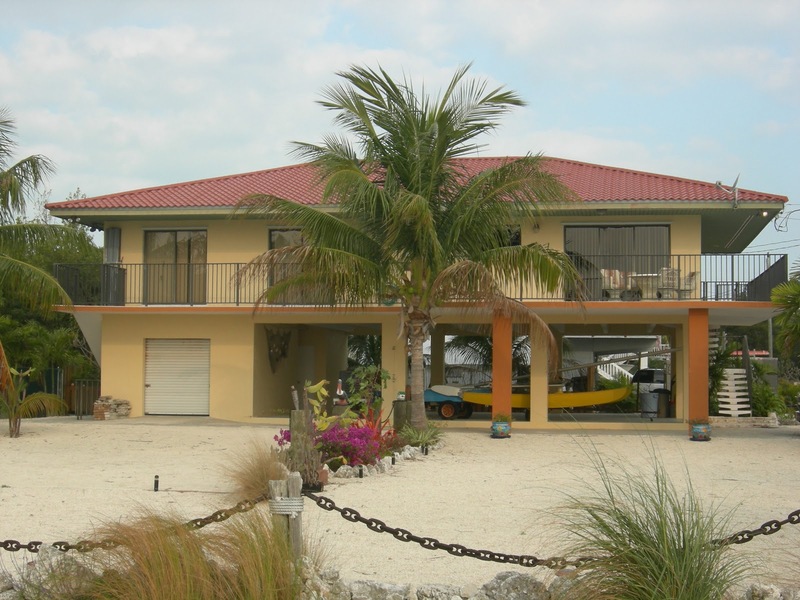 The homes were unpretentious and many were painted in the cool, pastel colors you find in Florida. No where else is a pink house more accepted than here. 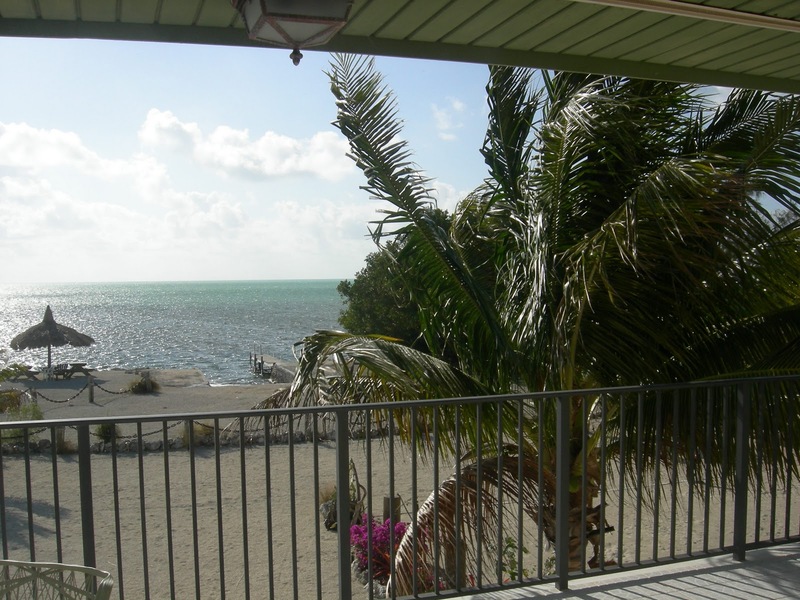 Imagine the inspiration this view brought to us before we began our days of nonstop aRt! Ooooh, if I were into envy, I would SO be envious. :) Sounds like a place I'd love to see someday! Can't wait to see the art that came out of such a lovely environment!! Julie's class was AWESOME! I just love my glamour girl and can't wait to create some more. Thanks, Julie for helping make Keys4Art2011 such a wonderful experience. and I LoVe the idea of pink houses ! ... miss you Julie ! looks nice and relaxing! Totally jealous!